Another Indian family who tried to console the crying child was also deplaned along with the Pathaks. An IAS officer has written a letter to aviation minister Suresh Prabhu, highlighting the harrowingly racist encounter he, along with his wife and three-year old child faced onboard a British Airways flight. AP Pathak, Joint Secretary in Ministry of Road Transport and Highways was on board the British Airways flight, BA8495 from London to Berlin on 23 July. He was accompanied by his wife Manjubala Pathak and child Puranjay Prakash. The officer wrote in his letter to the minister that they were met with the crew member's rude behaviour as soon as they were on board and were struggling to find their seats. Once they found their seats and the sign to put their seat belts were on, Pathak's wife fastened the seatbelt for the child. But the child who felt uncomfortable started crying. The wife then brought him to her seat and tried to pacify the child when the crew member scolded the three-year old and asked him to return to his seat. The IAS officer said that the child, terrified at being scolded started crying even more. In fact, another Indian family, seated near the Pathaks tried to console the child and offered him biscuits. The plane started to move but as the child would not stop crying, the crew member came to their seats and said, "You bloody keep quiet or you will be thrown out of the window and offloaded from the plane." "We were petrified with the rude and aggressive behaviour of that crew member," wrote Pathak. As things were not calming down, the crew member asked the pilot to take the plane back to where it was stationed. The crew member called security personnel who took away their as well as the other Indian family's boarding passes and deplaned them. Pathak said that he pleaded the crew with folded hands but they were not ready to listen. Another Indian passenger was threatened with the same treatment when he protested against the rude treatment. The Pathaks as well as the other Indian family were finally deboarded. Pathak says that he even tried to complain to the customer care but that too, was in vain. Neither the customer care nor the crew members on the flight gave away the crew member's name. The official also said that he went to a customer service office in London to complain of the racist and humiliating treatment but no action was taken. "I would like to reiterate and emphasis that the said crew member made racist remarks and used hatred word like bloody for Indian's which is highly undesirable and contumacious to the respect of myself and nation. I would request for strict action against the crew member and officials of British Airways," said Pathak in letter to Suresh Prabhu. Suresh Prabhu has asked Directorate General of Civil Aviation (DGCA) to obtain a detailed report from British Airways regarding the issue. 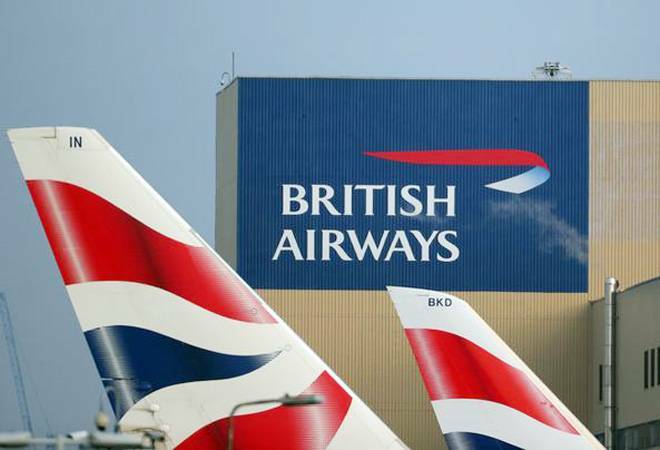 In a response, British Airways said in a statement, "We take such claims like this extremely seriously and do not tolerate discrimination of any kind. We have started a full investigation and are in direct contact with the customer."